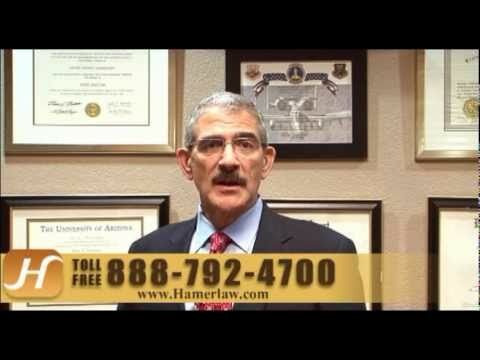 Tucson Car Accident Lawyer | The Hameroff Law Firm, P.C. Construction zone accidents can happen any time of the year. Most construction zone accidents occur at the beginning of the construction zone, when drivers must merge, slow down quickly, and maneuver through lane changes. The beginning and end of the construction site may be poorly marked, with insufficient warnings that you are about to enter or exit a construction zone. Some motorists drive faster than conditions allow, creating dangerous roads for everyone. Barricades in a construction zone may be poorly marked, hastily put up, or missing altogether, creating significant road hazards. If you or a loved one has been injured in a car accident due to negligence in a construction zone, you may be entitled to compensation for your injuries, lost work time and pain and suffering. Contact us info@hamerlaw.com a skilled personal injury attorney at The Hameroff Law Firm, P.C. in Tucson, Arizona, serving communities throughout southern Arizona. Road construction and dangerous highways create hazards for motorists. Because the roadway surface is under construction, it may not be up to the same safety standards as the finished highway. It may be uneven, roughly textured or unpaved. Lanes often narrow to allow for merging, with no shoulder. If you have been injured in a car accident due to a construction design defect, you do not need to go it alone. Our attorneys want to help victims throughout the claims process, recommending doctors so you get the treatment you need. The Hameroff Law Firm, P.C. has more than 25 years of experience with claims from car accidents. We work with you, your family, and respected independent experts in vocational rehabilitation, life planning and economists to assess the true impact of your injuries, so that your compensation is fair and equitable. Call our offices in Tucson at 520.792.4700 or 1.888.792.4700 today to discuss your claims with a qualified lawyer or send us an email info@hamerlaw.com to schedule a confidential consultation.